Preheat the oven to 425 F / 220 C. Line baking tray with baking paper and grease the surface with butter. Put the flour, sugar and baking powder into a large bowl. Add the butter and gently rub it in with your fingertips until the mixture resembles fine breadcrumbs. Be sure to only use your fingers, not whole hands so that the butter doesn’t melt completely. 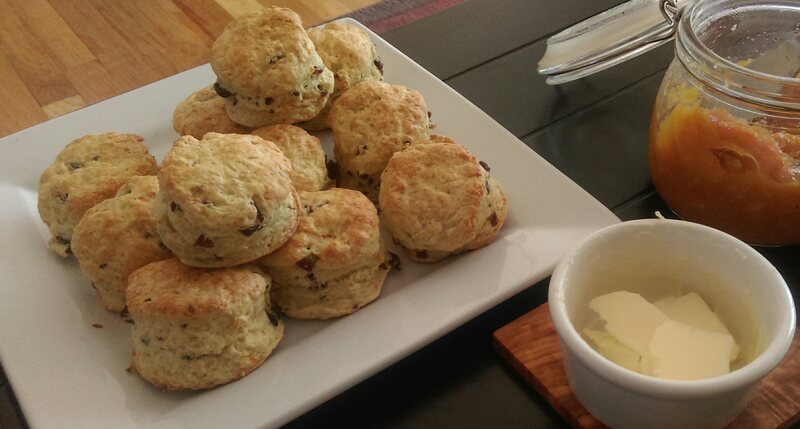 In a measuring cup beat the egg, vanilla extract and milk, then set aside a tablespoon for glazing the scones. Gradually stir the egg and milk mixture into the dry ingredients, just until you have a soft dough. Turn the mixture out onto a lightly floured surface and very gently knead (about 10 turns). Then roll it out until it is about 2 cm/ 3/4″ thick. 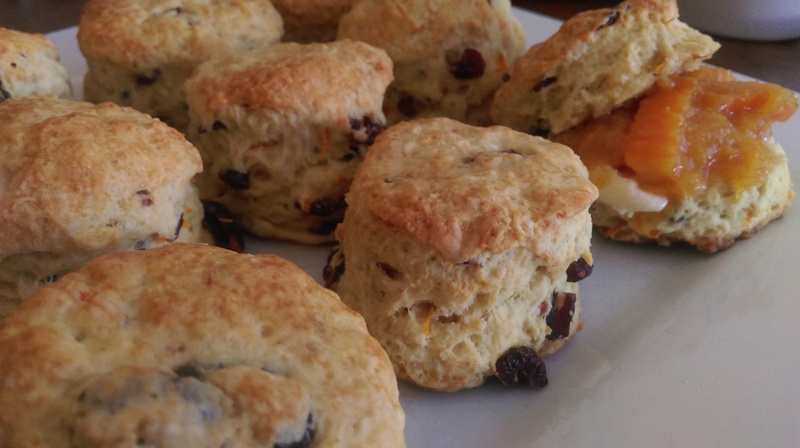 Use a 4 cm / 1 1/2″ cookie cutter to cut out the scones. 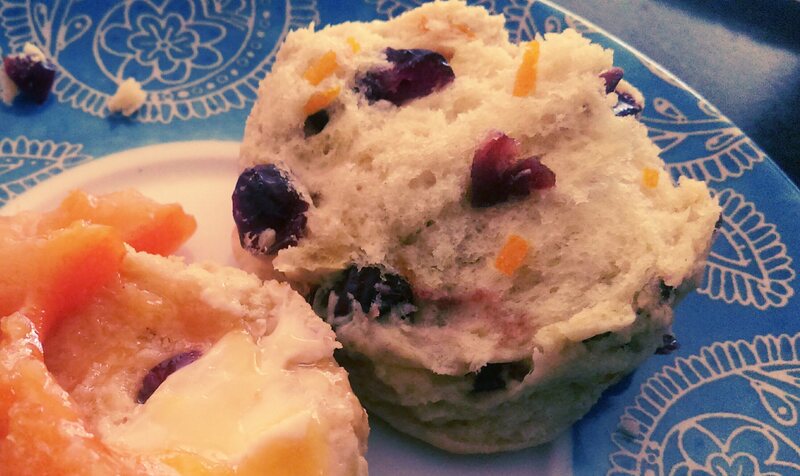 Gather the trimmings together and pat out again to cut more scones. 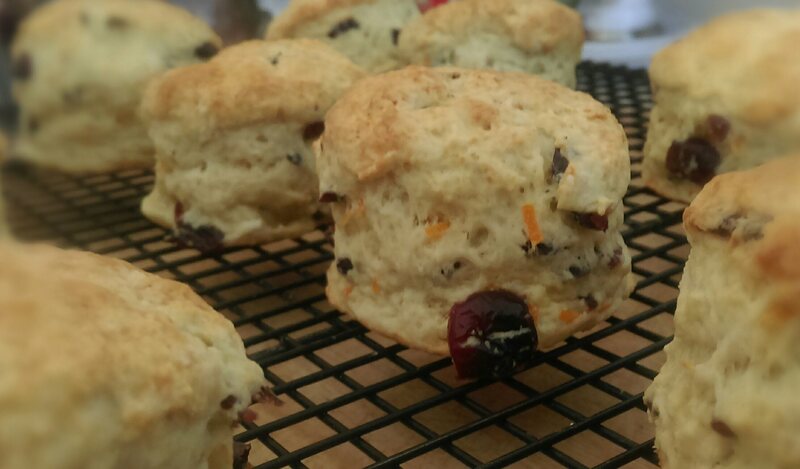 Arrange the scones on the baking tray and brush with the remaining milk mixture. Bake for about 10 minutes, or until golden-brown and well risen. Transfer to a wire rack to cool. 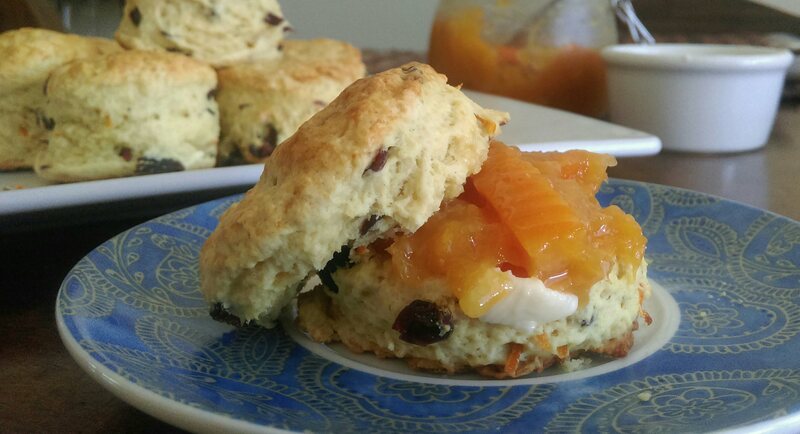 I served my scones warm, with butter and orange marmalade. Thanks for providing cup and tsp measures. 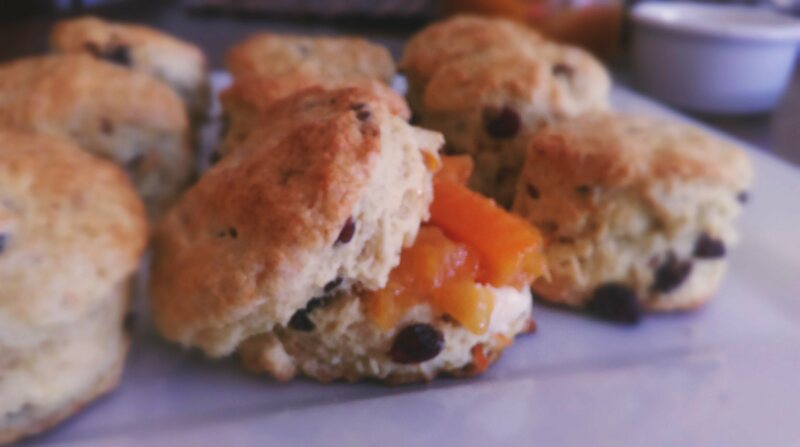 Your biscuits look wonderfully fluffy, hope mine look as good and even taste better. Thank you 🙂 I definitely recommend this recipe!